Chad Goodfellow Named CEO for Goodfellow Bros., Inc. The Goodfellow family is pleased to announce that after eight years serving as our President, Chad Goodfellow has officially been appointed as Chief Executive Officer (CEO) effective immediately. This appointment makes him the fourth-generation leader of our great company. “This is very humbling for me. I love this company and the construction industry. With our outstanding team of dedicated professionals, I believe we have a lot of exciting work to look forward to and a bright future ahead,” stated Chad. Former CEO, Steve Goodfellow, will maintain his leadership role as Chairman of the Board of Directors. “This is a very exciting time for our company. 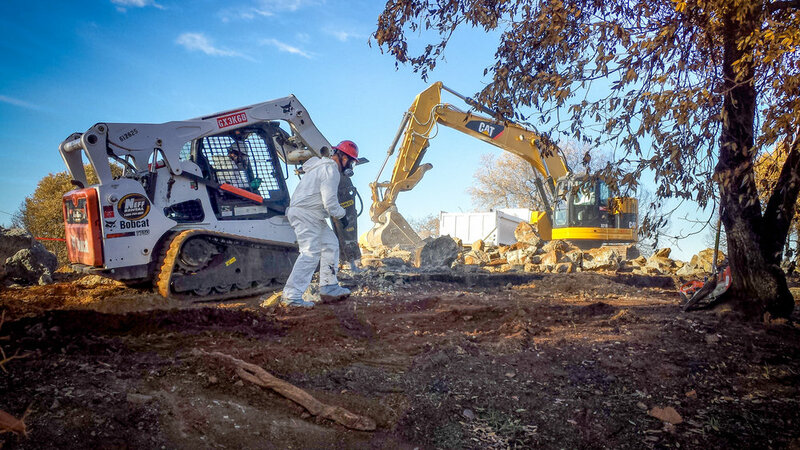 Chad and his management team have done an outstanding job over the past several years building on our mission to be the contractor of choice for our clients, employees and our communities,” said Steve. These individuals join our existing Division President in California, Brian Gates. Each Division President is a 20-year veteran GBI employee who has already built vibrant business units in their respective regions. The title change reflects their current responsibilities as they continue to grow and identify new market segments and opportunities for GBI. The Kilauea volcano eruptions have caused major damage and the evacuation of thousands of residents on Hawaii’s Big Island. The volcano has been active since 1983, but the damage to land and property sustained over the past four weeks has exceeded what the island has experienced in decades. As of early June, the USGS has reported that 7.7 square miles of the island have been covered with lava. On May 30th, the Big Island Region started work on clearing an emergency evacuation route for residents of lower Puna. 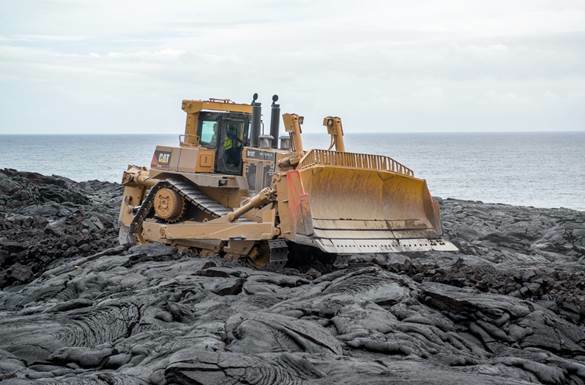 GBI mobilized in one day and completed the work in four days, removing a 0.7 mile section of solidified lava to create an alternative route through Hawaii Volcanoes National Park. This would be utilized by Puna residents in the case their one remaining route (Highway 130) becomes obstructed due to lava flow; the newly created route is for evacuation purposes only, and will not be an alternate route for travel to and from the Kalapana area. Mobilizing the equipment was a challenging task because the volcanic activity created deep cracks in the road and we also had to ensure the roads could support our equipment’s weight. Additionally, all equipment being utilized had to be thoroughly cleaned and pass a detailed inspection to ensure the natural resources of the Hawaii Volcanoes National Park were protected from the introduction of invasive species. GBI is proud to have partnered with the local officials and businesses who made this evacuation route a high priority in the interest of public safety. Our partners included: Hawaii State Department of Transportation, National Park Service, Hawaii County Police Department, and Island Topsoil.